The barflies of Bolton upon Dearne’s working men’s clubs saw it first. Before long the floundering Sheffield rock scene saw it too, then 6Music, then the massed, churning crowds of Reading & Leeds. Now the whole world is catching on to the wildfire thrill of The Sherlocks’ live shows, every single one a flailing frenzy of youthful delirium, a new generation discovering the adrenalizing rush of rock’n’roll. It’s an ear-to-the-ground buzz that began with ears to a wall. In 2010, after a couple of years of bashing aimlessly at guitar and drumkit (respectively) together, brothers Kiaran and Brandon Crook were playing a private ‘gig’ for their family at their grandparents’ house one Christmas when, between songs, they heard someone next door playing electric guitar. They knew that a guy called Andy Davidson had recently moved in next door, but they hadn’t realised his quieter brother Josh played guitar. Before long the four of them were jamming in the conservatory at the Crooks’ house, buzzing from a shared love of everything from The Flaming Lips to ELO and the indie rock classics. 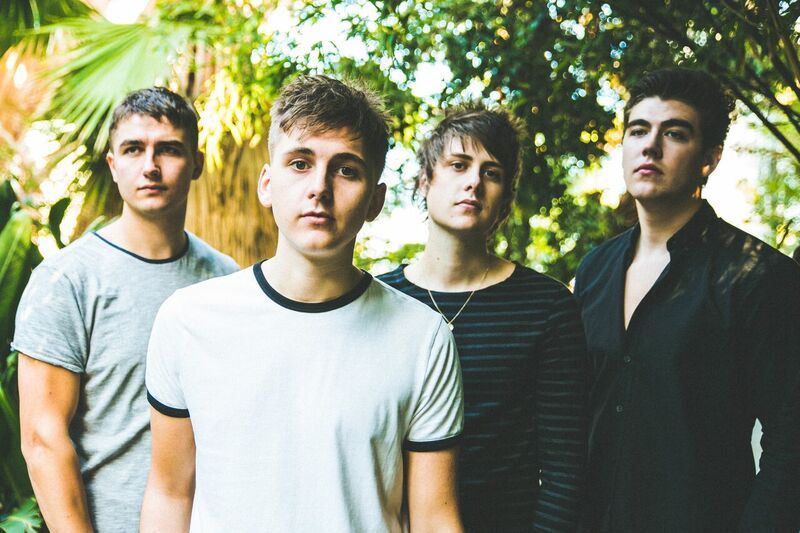 Subsequent singles ‘Escapade’ – inspired by Kiaran’s schoolmates exaggerating about their supposedly wild weekends – and ‘Heart Of Gold’ tackled the heartbreak and hedonism of northern youth with the same driving intensity and melodic might, and by the summer of 2015, with virtually no industry help, The Sherlocks had started making waves. Steve Lamacq had his tunebuds tweaked by their Tramlines festival set and the 6 Music, Radio 1, Radio X, MTV and Soccer AM plays began rolling in; by the time the band made their first appearance at Reading & Leeds, they were one of the country’s hottest rock sensations. Even if they didn’t realise it themselves. Andy uses Rotosound RS66LN Swing Bass strings, while Josh and Kiaran use Roto Yellows.